Cover and cook on LOW for 3 to 4 hours, until the peppers and onions are soft. 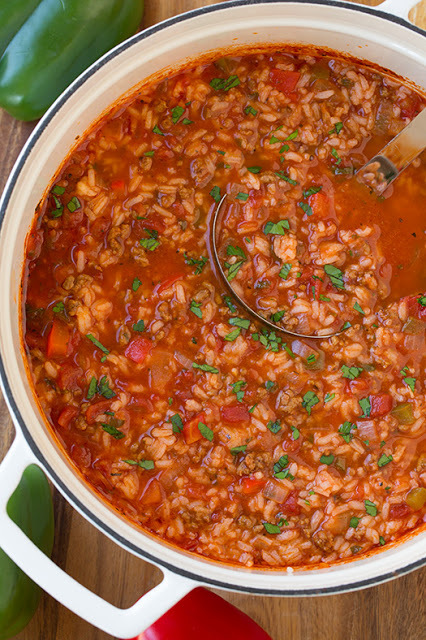 Stir the cooked rice mix into the soup and cook on low for 30 minutes more to blend flavors. Serve with Parmesan cheese sprinkled on top, if desired.